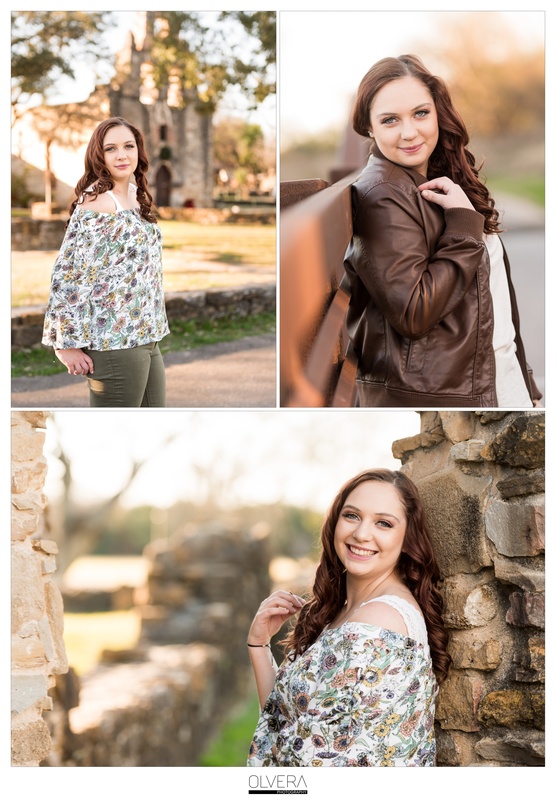 Double Senior Portrait Session with Cousins at Mission San Francisco De La Espada in San Antonio, TX. My cousins are some of my best friends. I come from a big family and I even have cousins that I call brothers and sisters. When I was 12, I along with 2 sisters and a brother were placed in a foster home. When my aunt found out, she and my uncle became licensed foster parents so that they could take us out of the foster home we were in. My aunt and uncle were my foster parents until the age of 18 so my cousins were really my brothers and sisters. My family all lived within 15 minutes of each other so family gatherings were huge with tons of cousins. 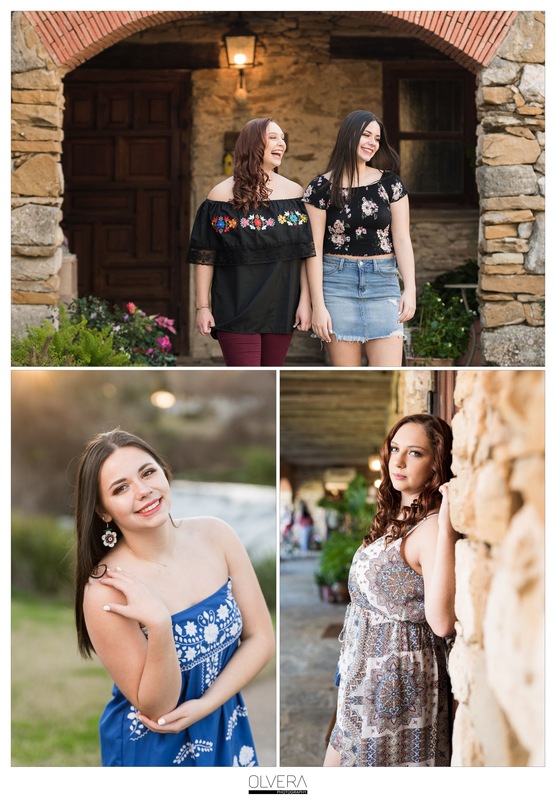 We had so much fun photographing Gabby and Alexis’ senior portraits at Mission Espada over the holiday break. Gabby and Alexis are cousins that live in Missouri. Their families had planned a trip to visit their great grandmother in San Antonio for the holidays. After a few months of phone calls and emails, we were so excited to meet the girls. They were just as mom had described- beautiful, fun, sassy girls. We had so much fun and we were so happy to have had some warm sunshine that day. 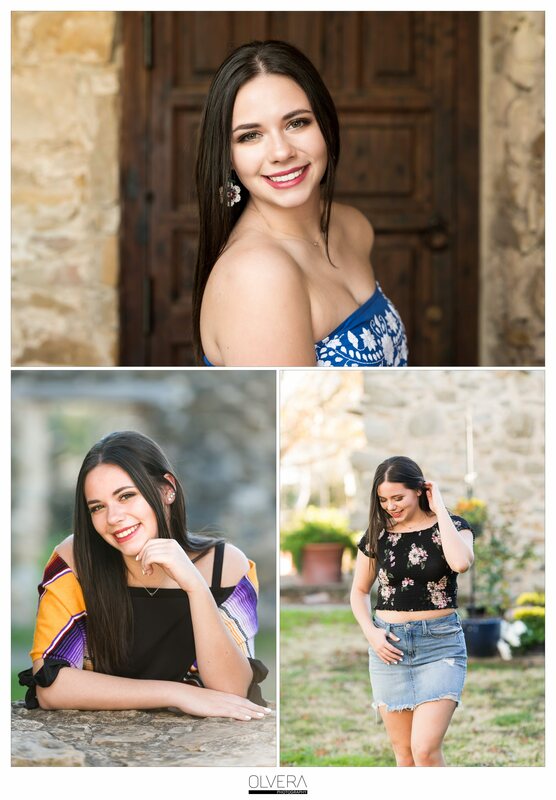 When we arrived at Mission Espada we realized Gabby’s entire family came along to explore while she got her pictures taken. You can imagine how surprised I was when Melissa, Gabby’s mom told us Gabby had 7 siblings. I always think it’s fun to meet others who have lots of siblings, especially since Gabby is the oldest as well. 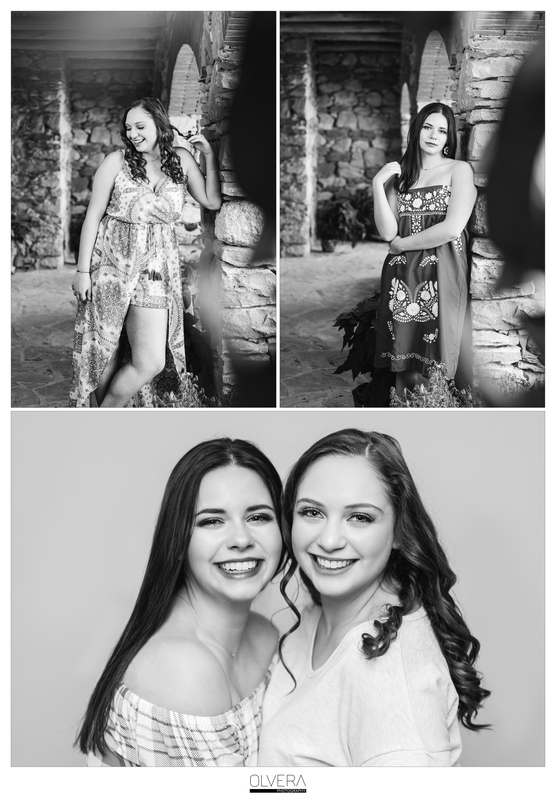 Gabby and Alexis were the cutest cousins and they were so sweet, we had a blast at their session. 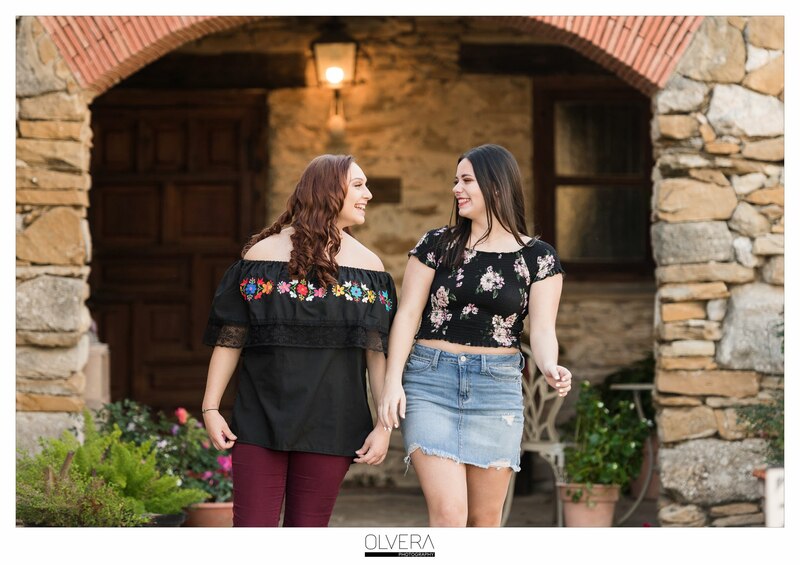 We loved seeing them picking on each other, laughing with each other and even giving each other tips on how to walk and pose 😉 Thank you Gabby and Alexis for allowing us to photograph your senior memories and Congratulations on your upcoming graduations!